FALL 2016 Registration is now open! Playhouse on the Square’s Theatre School Youth Classes are designed to provide a fun and challenging experience for both the beginner and the experienced performer. Taught by local theatre professionals, our classes give students the opportunity to develop and expand their performance skills, including character development, movement, and voice. The session spans nine weeks, which includes eight weeks of classwork/rehearsal, and an informal showcase performance for family and friends in the ninth week. No audition is required to register. Classes are at Playhouse on the Square, 66 S. Cooper, Memphis, TN, 38104. To look at a complete list of classes, or to register for Theatre School Classes please click HERE. Hailed by The New York Times as a “flat-out brilliant portrait of a monarchy in crisis,” the 2015 Olivier Award winner for Best New Play, King Charles III takes us to an alternate reality where, after a lifetime of waiting, Britain’s Prince Charles ascends the throne. Now the question becomes, “How to rule?” This controversial drama explores the people beneath the monarchy, the unwritten rules of our democracy, and the conscience of Britain’s most famous family. You’re invited to the most exciting wine tasting in Memphis! This fun and funky fundraiser brings some familiar (and not so familiar) characters from jukebox musicals to life and pairs them with 10 different wines to create an evening you won’t soon forget! Characters in full costume will describe the wines. As they sip, guests will enjoy the chance to test their theatrical skills for a slew of wonderful prizes. Do not fear if your knowledge of theatre is equivalent to a cheap Merlot…… there are ways to beat the game. You may still walk away with the biggest prize! Join us on Tuesday, August 16 from 6-8pm, to test your knowledge of some of your favorite musicals at The Great Wine Performances! Tickets are $50 in advance or $65 at the door. To purchase tickets to The Great Wine Performances, call the Playhouse on the Square box office at 901-726-4656 or click the button below. 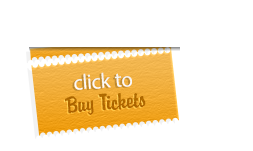 To purchase tickets to The Great Wine Performances call 901-726-4656 or click the button below.